But the glory days were shortlived. 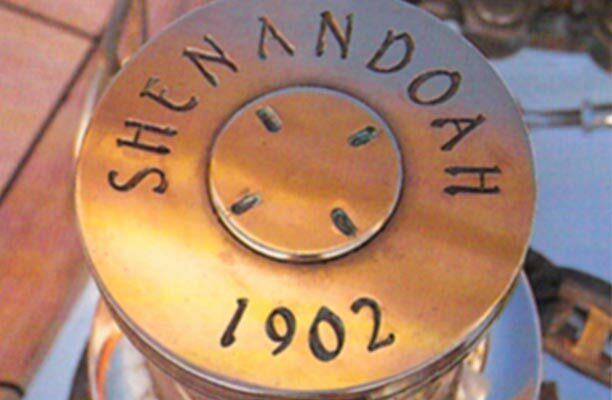 Just as she began the 20th Century in luxury and celebration, so Shenandoah entered its last decade in disarray. But beneath the dereliction, the dimly discernible lines of a once-beautiful classic yacht seduced a German owner into making her his own. Against better judgment, she put to sea and sailed to New Zealand, where she arrived battered and badly leaking, barely afloat. In the cold light of rational analysis and no doubt suffering a dose of buyer’s remorse, the owner came to the only logical decision: Shenandoah was beyond repair and would be taken off soundings and scuttled. Happily however, profound passions, once awakened, are not so easily stilled. Reason was banished and the owner relented, deciding that this once magnificent yacht would be brought back to life after all.